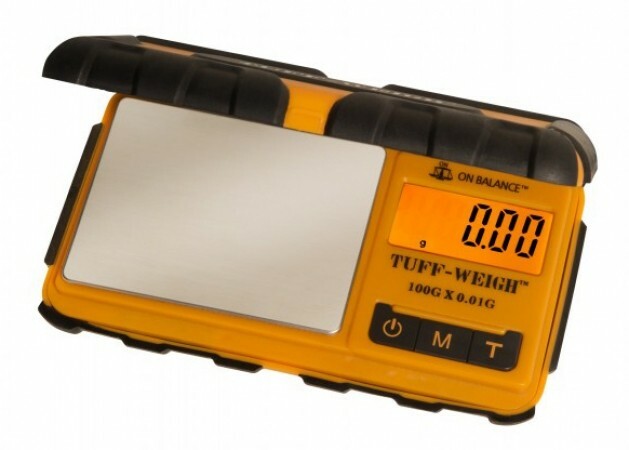 If you're looking for a practical and precise set of scales, look no further than the Tuff Weigh Digital Scale in stylish orange. Accurate to 0.01g, they're a professional level ready for home use. Comes with a detachable lid/tray, impact resistant case for portability and rubber grips. Buy today and never worry about getting your measurements wrong again. Up to 1000g.